Will a Pack Rat token made by a rat brought back by a whip of erebos have haste? What exactly gets copied when I copy a creature? 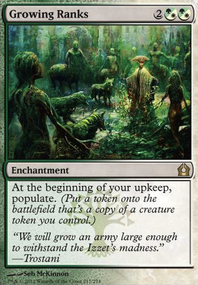 As much as I would love Voice of Resurgence, Sunpetal Grove, that would set my deck to like 60$ more, which I can't exactly afford. I should probably specify in the deck that the cost needs to cap out at about 40$. Ill switch out that Wake the Reflections, and put in the Hunted Witness, that is a good idea. gandalfguyysnp thanks for the suggestions. The problem I have with Wake the Reflections is that it is too inconsistent. While sometimes it can be explosive, other times it's just a dead draw. I feel this card would be better if it was an instant instead of a sorcery, which is why I went with Rootborn Defenses (even though Rootborn can be a dead draw too). That way I don't have to commit to going wide on my main-phase, where it will be more susceptible to my opponents sorcery sweepers. However, you're right that Intangible Virtue is pretty bonkers in this deck, so it probably makes more sense to move Rootborn to the sideboard. I feel that Path to Exile is just too good to pass up. I'd say it's necessary for almost any deck that plays white. The card is just too much value, and there are too many threats that dodge Selesnya Charm. That's just my opinion though. This is a pretty good deck, it really caught my eye, since I recently started on a deck similar to this spamming those tokens. A couple suggestions that I have found from my deck. Wake the Reflections is a really good card in this deck, just imagine creating a 5/5 or 3/3 for 1 mana. Also I'd put the Intangible Virtue into the deck, it is really powerful. I'd suggest taking out the Rootborn Defenses, since, you should be creating tokens fast enough that you won't need to protect them. 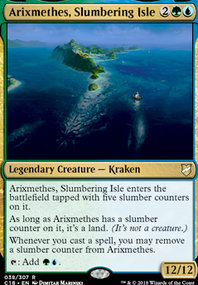 Also the path to exile could be taken out, since that really could just be on the sideboard, and you already have a remove card with Selesnya Charm. Lastly, I'm not sure if you already own all these cards, but Anointed Procession does the same thing as Parallel Lives, but for about half the price. Interesting deck. 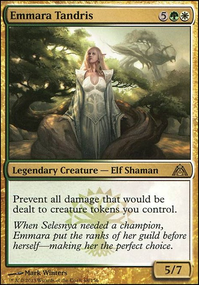 I would give a playset of both Harrow and Llanowar Elves a try to help ramp into Spore Swarm. Or even something like Fertile Ground or Rampant Growth. Then you can go up to four copies of Spore Swarm as it is your best producer of Saprolings. You could also leave your land count right where it is with that kind of ramping power. Tukatongue Thallid is a nice two for one, I would go to four copies. 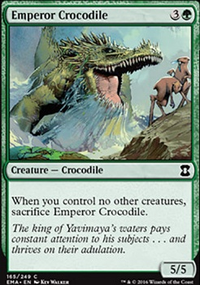 Sporecrown Thallid is your lord in this deck. Need four copies. Look at cutting Yavimaya Sapherd. 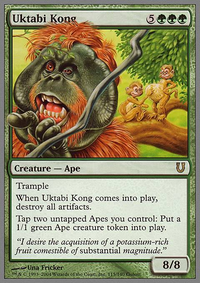 With any kind of mana ramp Spore Swarm is strictly better. Pollenbright Wings seems like a big investment. If they kill your target this just fizzles. At 6 cmc I would cut it all together. Same issue exists with Wake the Reflections. Intangible Virtue is a four of in most tokens decks however, beastmaster ascension is really cool. Champion of Lambholt gets insane the longer it's in play. Cloudshift, perhaps in place of 1-2xWake the Reflections? @Feyamius I actually just swapped Trostani's Judgment for Blessed Light, I'm hoping the cheaper cost and ability to hit enchantments will make it more useful in the deck. Wake the Reflections has always been a do nothing card for me, it's only useful with a good token on board, and I'd rather just play a creature that makes a good token instead. Definitely adding Grow from the Ashes, idk about the others though, I already feel I may have too much ramp. I might add Commander's Sphere though if I can find one, the draw seems nice. I'd run Trostani's Judgment over Blessed Light, and of course Wake the Reflections, cutting some of the 1/1 token creators. You want your tokens to be big. Grow from the Ashes is a great new ramp spell. Far Wanderings and Journey of Discovery are very good as well. 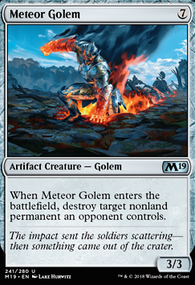 Selesnya Cluestone, Commander's Sphere and Darksteel Ingot could ramp you even more so you can activate your commander's populate ability multiple times per turn. 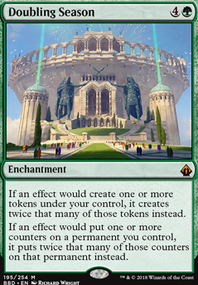 Like suggested, you could take out some 1/1 token creator spells for the increase of ramp.